The New College Lanarkshire Learning Centre, in partnership with Day Care Services and the Radio Project, held an event at HMP Barlinnie to commemorate World Food Day on the 16th of October with the aim of increasing awareness about hunger challenges and encourage people worldwide to take action in the fight against hunger. Around half a million scots with over 200,000 children are living in poverty and struggling to meet basic dietary needs. A presentation kicked off the event giving information on what poverty is, its prevalence in Scotland and how this impacts on society in terms of health and wellbeing and education. Julie Webster attended the event from Greater Maryhill Food Bank to discuss how they support our community and the challenges its people are facing and highlighting that not only unemployed are requiring support from their service. Julie was able to provide her view on how welfare reform has played a role in the current poverty epidemic. 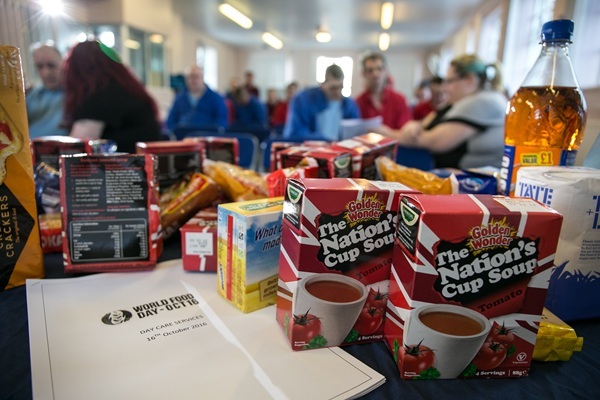 A budgeting and money management workshop was ran in both the morning and afternoon with prisoners from all mainstream halls which identified the price comparison between branded and value products. Monica Brown (teacher North Lanarkshire College) organised 2 performances from students of the radio project – Adam, who created a poem called ‘Food Bank’ and Mark, who performed his rap on food and politics called Hunger Pains. Both performances had impressed all who attended and Maryhill Food Bank have requested copies to be framed on their support wall. To conclude the event prisoners got to enjoy home baking consisting of cheesecakes, oat and orange cookies and caramel cake prepared by the independent living cookery skills class in Day Care Services, which went down a treat. 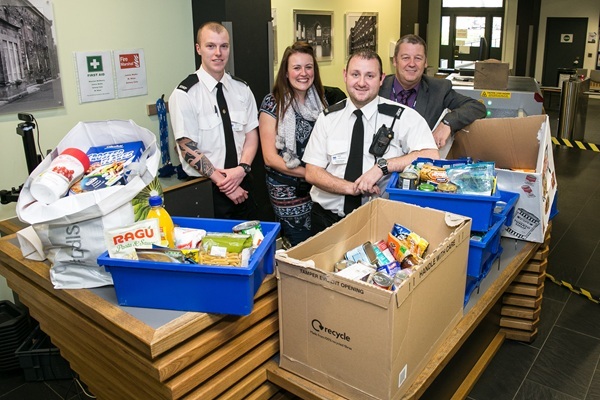 Lucie Armstrong, Offender Learning Lecturer emailed all members of Barlinnie staff and asked for their support in gathering a food donation to be presented at the end of the event which consisted of 4 large cardboard boxes full of non-perishable food items. 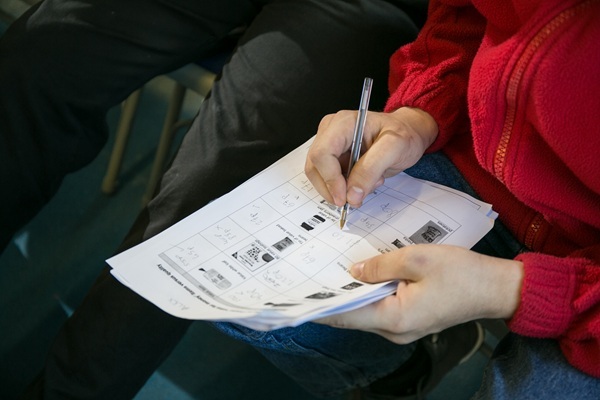 During the planning of the event the art department had designed a donation box in the theme of Food ‘Banksy’ and students of the art department had sought permission to be able to donate from the canteen sheet. This was approved and all prisoners had the possibility to donate over just 2 days and managed to fill 2 sacks of food from their canteen! Overall, the success of the event would not have been possible without the partnership all members of SPS and New College Lanarkshire, alongside Maryhill Food Bank we have helped raise awareness of the fight against hunger.